Editor’s Note: Hartford is a featured case study in our upcoming Places of Invention exhibition. For more on Hartford as an invention hot spot, read Part 1 of Yankee Ingenuity. 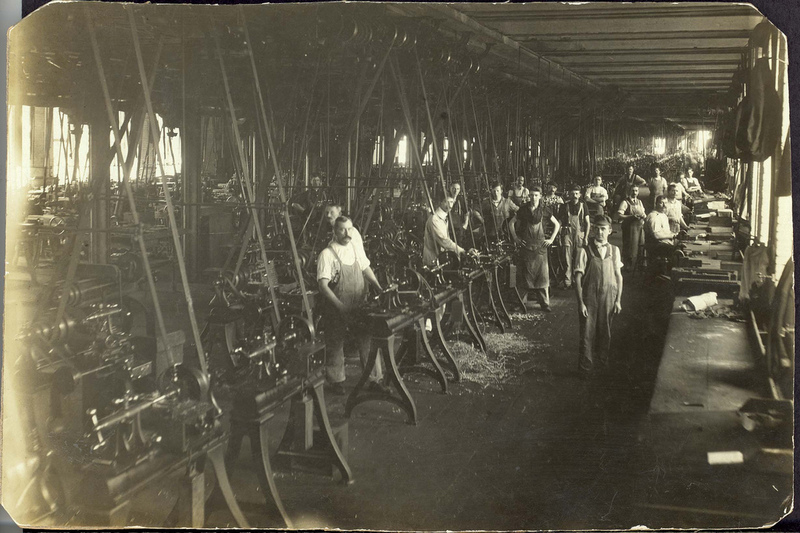 In the 1800s, New England (and Connecticut in particular) was the home to dozens of iconic inventors, including Hartford’s Samuel Colt, Hamden’s Eli Whitney, and New Haven’s Charles Goodyear—not to mention hundreds of lesser-known, but highly skilled machinists and toolmakers who worked in the region’s factories and shop floors to continually improve their manufacturing processes. Hartford is a microcosm of that larger story. In just a few blocks in downtown Hartford, you can see how the methods of precision, interchangeable parts manufacturing spread from firm to firm and industry and to industry—from arms-making to sewing machines to typewriters to bicycles and automobiles, creating a real hot spot of innovation. 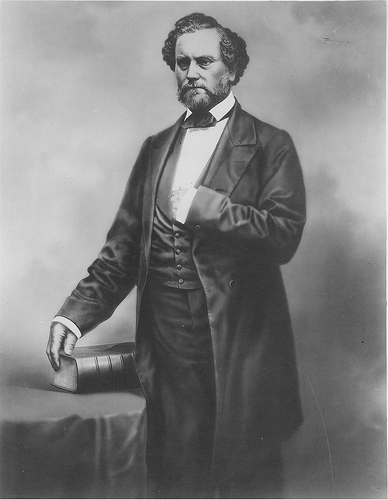 Samuel Colt, 1859, courtesy of the Connecticut State Library. Samuel Colt is the reason we are still talking about Hartford today. A Hartford native, he patented his namesake revolver in 1835-1836, but his real innovation was perfecting a precision manufacturing system that allowed him to mass produce 1000 identical copies of his design with interchangeable parts. He was a brilliant inventor and a manufacturing genius, but he was an even greater promoter of his business. He would shower liquor and lavish gifts on Army generals, schmoozing them to secure arms contracts in a way that would make us blanch today. Colt was an equal opportunity salesman—in the years before the Civil War, he sold arms to both the Northern and Southern states. He traveled to Europe and sold arms to both the British and Russian governments, arming both sides of the Crimean War. He was incredibly wealthy, brash and larger than life, with expensive tastes in art—like a modern day Larry Ellison or Richard Branson. 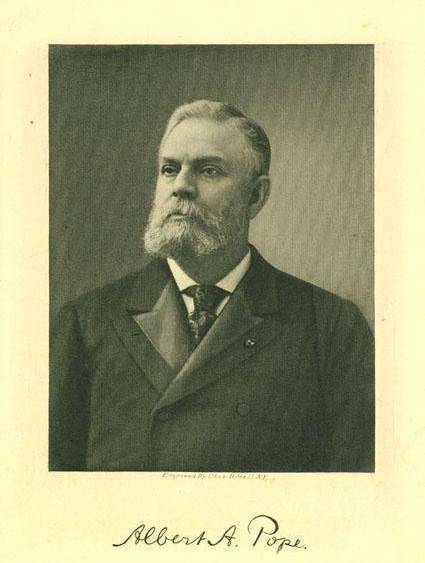 Albert Pope, circa 1900, courtesy of the Connecticut Historical Society. Albert Pope was a Boston entrepreneur who first saw a high-wheel bicycle at the 1876 Philadelphia World’s Fair. These were imported from England, but Pope was determined to manufacture bicycles in the United States. After securing patent rights in the U.S., he arrived in Hartford in 1878 and contracted with the Weed Sewing Machine factory to build his bicycles. Eventually the bicycle business became so lucrative that Pope bought out Weed. Eventually in the 1890s, Pope also began making steam, gasoline, and electric cars in Hartford. 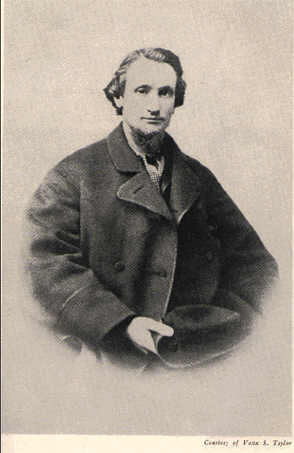 Christopher M. Spencer, circa 1863, courtesy of Wikipedia. Christopher Spencer was a serial inventor and entrepreneur who worked across a number of industries. He invented a winding machine for silk thread, a repeating rifle that Abraham Lincoln personally tested and adopted for the Union Army during the Civil War, and an automatic screw-making machine. 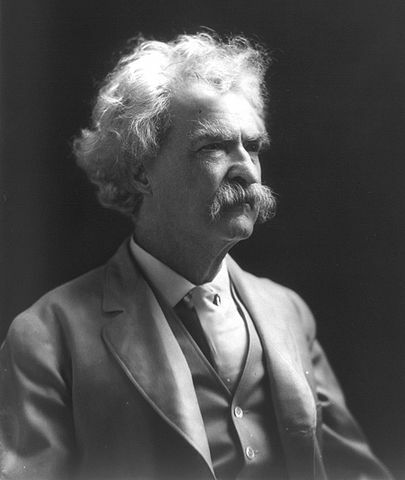 Mark Twain, courtesy of the Library of Congress. It’s easy to learn things about a famous industrialist like Samuel Colt or Albert Pope, but much harder to find information about the folks who worked for them. It’s been difficult to understand what life was like for the average machinist or engineer who worked on the shop floor in one of Hartford’s many factories. I would love to know, for example, what it was like to work at Colt’s armory. What was the experience of living in the Coltsville factory neighborhood—to play in the Colt band, to play on the Colt baseball team, or to attend dances at Charter Oak Hall? Unfortunately, there are hardly any first-person accounts of the city’s workers. This is especially true of immigrant workers; many were not literate in English and left few records.